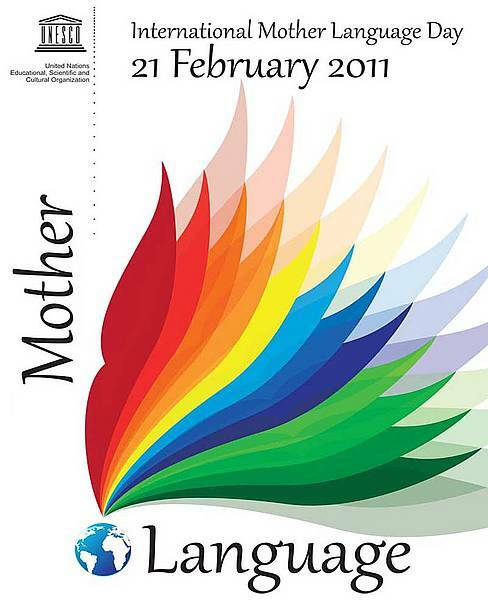 For the occasion of the International Day of the mother tongue, the Anavad (Government) reminds that the kabylian language is always concealed as a native language and that the kabylian people are deprived of it in their administrative life. That is, a language denial which hides an existence denial in the name of the colonialism and racism of those who govern Algeria. Fortunately there’s the kabylian resistance spirit, the daily attacks of the algerian government in order to depersonalize her always fail. The kabylian Minister of culture and language is keen on to greet all those who consciously or not activate so as to make live a language that millenaries couldn’t wipe out. He thus pays tribute, first of all, to the kabylian woman who, through ages and time tribulations, has always managed to protect this linguistic treasure which makes the fundamental of the kabylian personality. He pays tribute to all her poets, her story tellers and her wise men who, have not stopped, since time immemorial, to pass on and reiterate the kabylian language in order to make of it a real gem expressing what we are today. He pays tribute to the artists, to the associative movement and to all persons who worked and always work to teach and develop this language of exceptional beauty. The kabylian Minister of culture and language greets the researchers who work, often anonymously, in order to give it the dimension and the respect to which it is entitled. Mr. Gaya Izennaxen reminds that his ministry within the kabylian Anavad(Government), gives oneself as mission to gather financial means to support their so hard work. A team for funds collecting is in the field. The kabylian Minister calls the international bodies, especially the UN secretary-general together with the UNESCO director to ensure that the algerian government stops his arabization policy of Kabylia. Ferhat Mehenni wrote to UNESCO to support the boycott of the Arabic language in Kabylia.